Doodlebug collections are so versatile and can be easily combined for various projects. I love mix n matching different Doodlebug collections for my projects. All these collections blend so well together!! I picked few prints from these 3 collections to go with one of my fave photos of my girls from the spring vacation. I used the stickers from Spring Garden for the title. I also used the Matte Sprinkles , love these!! 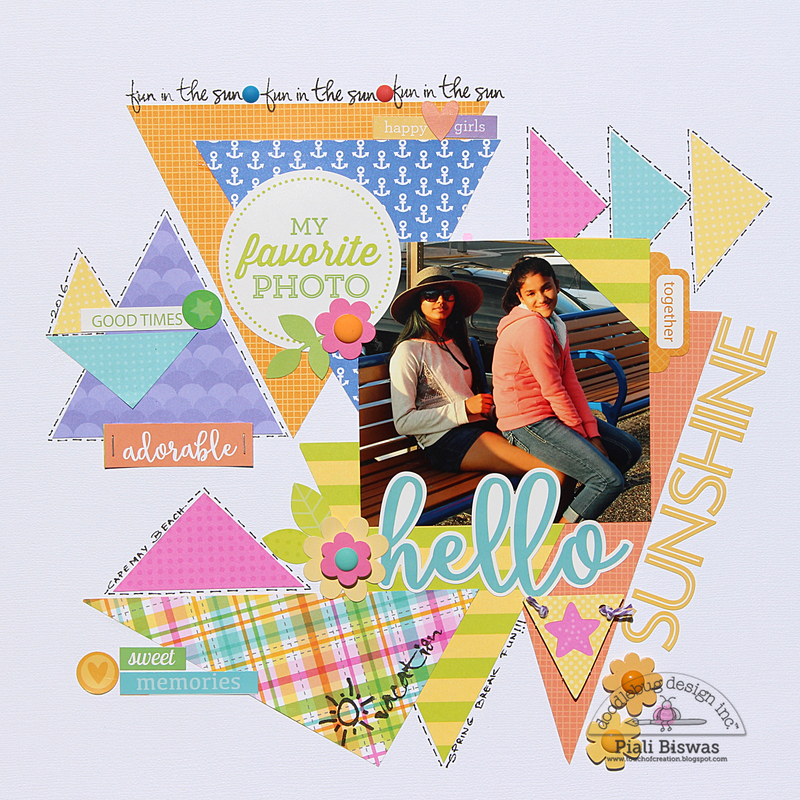 Such a FUN layout, Piali!